M&J Place Hostel, opened in 1995, has the best location in Rome. It is a 2 minute walk from main Termini Station, Shuttle buses to/from airports, and is just walking distance to main sites. 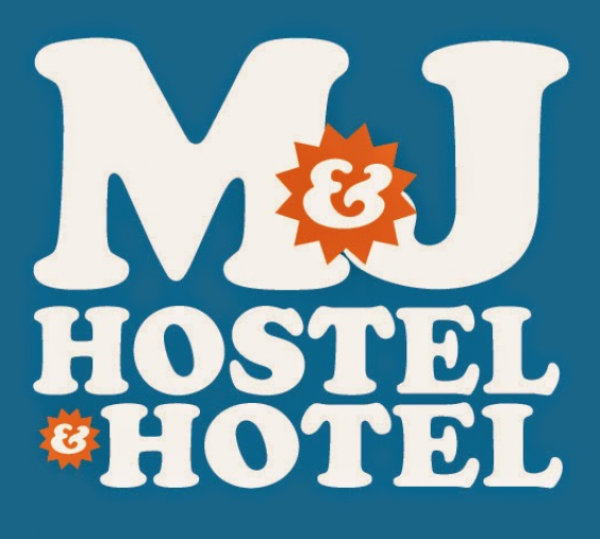 M&J Hostel is good value for money with many facilities and amenities for the right price! We have both dorms as well as luxury Zen-style private hotel rooms in the heart of Rome. â€œSo, wake-up and enjoy a hot shower with clean towels, grab a buffet breakfast in our cafe and chat with your friends, free Wi-Fi! Then, discover the city on our maps and see the sights on our Tours. Take advantage of the no-lockout and be ready for a delicious pizza or pasta in our cafe, or meet people in our common room. You may end up with them for a drink! You can stay out all night as we are open 24 hours with no curfew . Leave your luggage with us in our free storage room before your departure by train (2mins), Bus (2mins) or taxi. Arrivederci a Roma! Andâ€¦..if itâ€™s your Birthday, We give you a nice surprise gift! In the Private Rooms we offer extra services like AC, Energy Saving System for electricity, towels, computer sized safe box To relax, have a look at our Italian Restaurant and Bar The Living Room Cafe which is open all day, and which offer great discounts to hostel guests. So, if you are craving a cappuccino and croissant, pasta, salad or pizza, The Living Room Cafe is the place to be for Breakfast, Lunch and Dinner or for a cold beer or cocktail with friends in the evening. Not all rooms have the same services included in the price. For groups larger than 20 people, please use the special inquiry form, otherwise your booking will not be processed. Take the train to Roma Termini Train Station 14Euros 40m, then follow above instructions. Alternately, take the bus to via Marsala (last stop) 6Euro 1hr. Then go right at the traffic light. You are on via Solferino look for the number 9. Take the bus to via Marsala (last stop) 4/6Euro 40m. Then go right at the traffic light. You are on via Solferino; look for the number 9.